It was another cold day across Hatteras Island. We had temperatures in the mid to lower 20’s and not much wind. There is no fishing report for today. Tomorrow will be warmer and a little more life will come back to our little island. Here is a satellite image of the ice we have in the sound and of the snow inland as of yesterday. Pretty Cool!! This photo has been shared around facebook today. Stop in and pick up a new 2018 Tide Chart!! 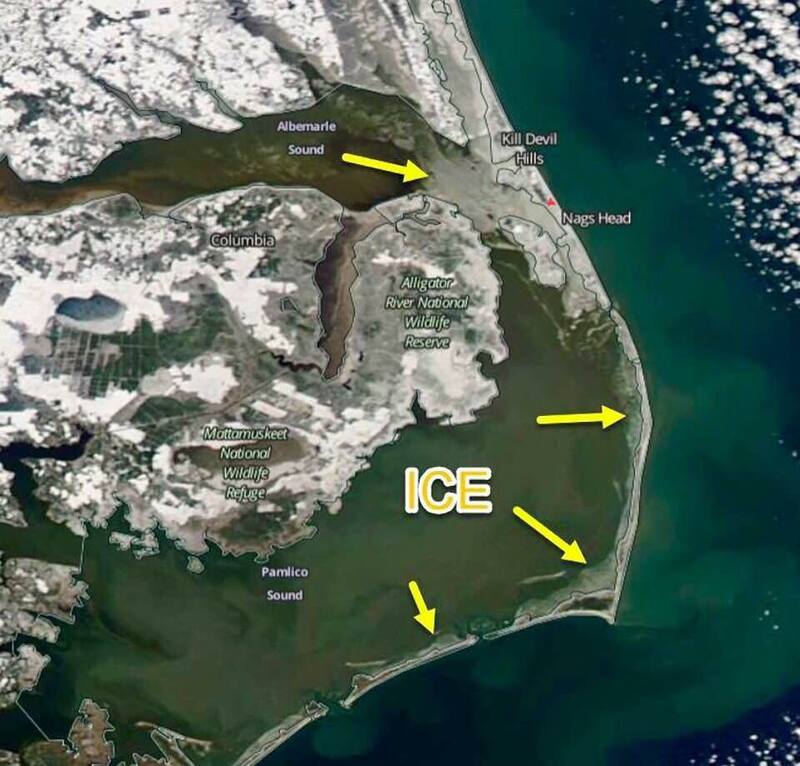 This entry was posted in Cape Hatteras Weather, Featured Products, Frisco Market, Local News, Uncategorized, What's Biting and tagged 2017-2018 Hunting Season, 2018 tide charts, beautiful winter day, browning, costa, duck season, hatley, ice satellite image, muck, rem oil, rocky, Sperry, woolrich, xtratuf, yeti by frgstaff. Bookmark the permalink.